We all love WordPress as an easy-to-use blogging platform which can be quickly installed to start selecting a theme and telling your stories on the Web. 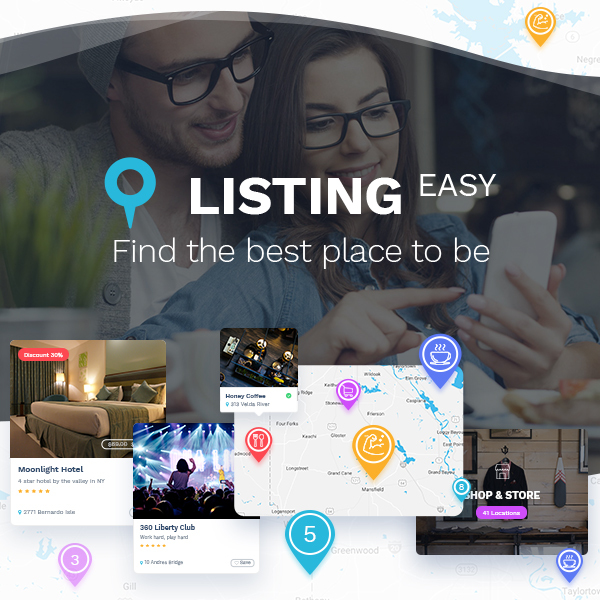 Lots of enthusiasts and contributors from all across the globe design and develop multiple free and premium WordPress templates both for blogging purposes and building more types of websites for business, personal and promotional needs. 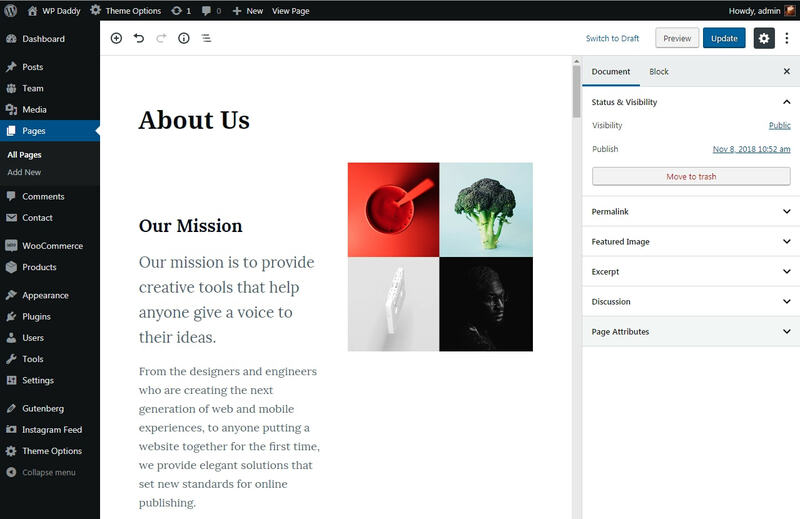 The upcoming 5.0 Major Release of WordPress, which is scheduled for November 27, is going to be available with a brand new visual editor known as Gutenberg. 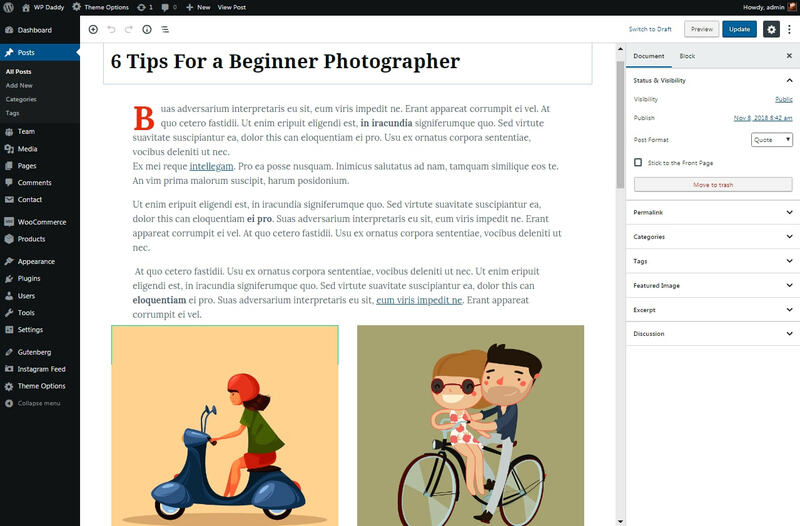 This content builder is based on blocks which you can easily put into the text editing area to create a standard post or build a page structure, add a gallery or image post, insert shortcodes, embed videos, and more. 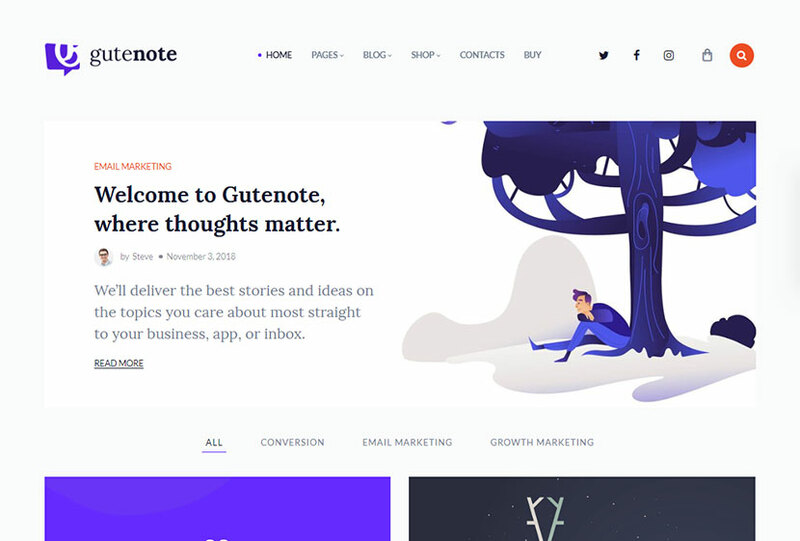 Gutenberg is a very intuitive visual page builder you can also use for creating custom WP templates for your blogging website, so Gutenote – Gutenberg Blog WordPress Theme is one of them. 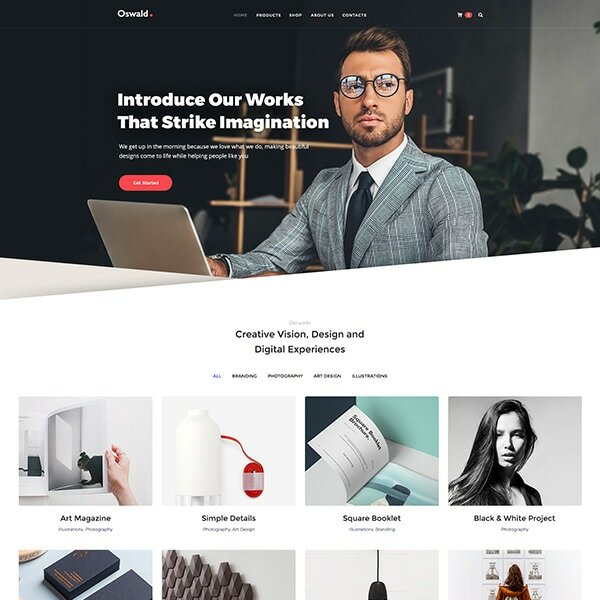 This is an absolutely fresh blogging template designed by GT3 Themes with the help of custom Solo Blocks and available for creating your exclusive online diary in the simplest possible way. 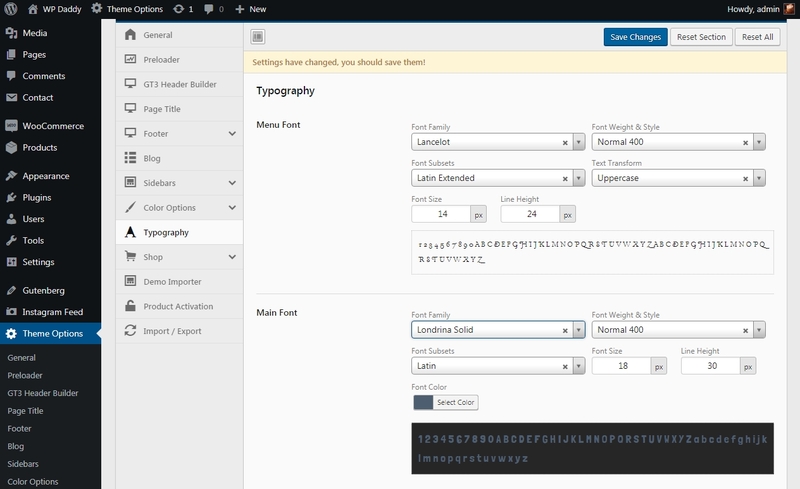 So, what you will get if you prefer to take Gutenote WP theme for running your debut blog? I’ve made this small review for you to get an insight on the theme’s features. Let’s start! 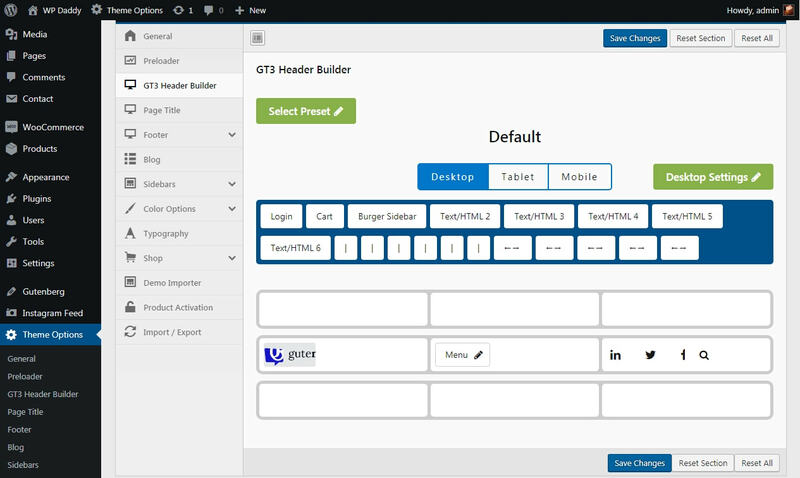 Once you’ve installed and activated Gutenote, you will be offered to install Solo Blocks and a bundle of additional plugins that come in the pack and required for the theme to work properly. 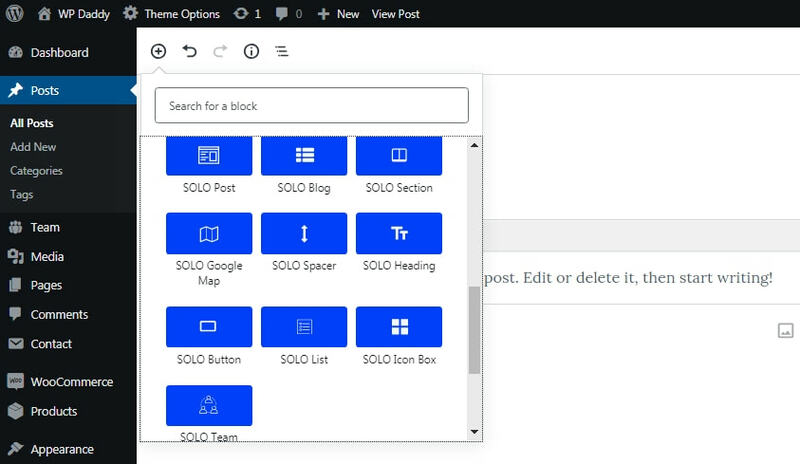 Be sure that Gutenberg editor is already installed and activated on your website to be able to enable Solo Blocks. 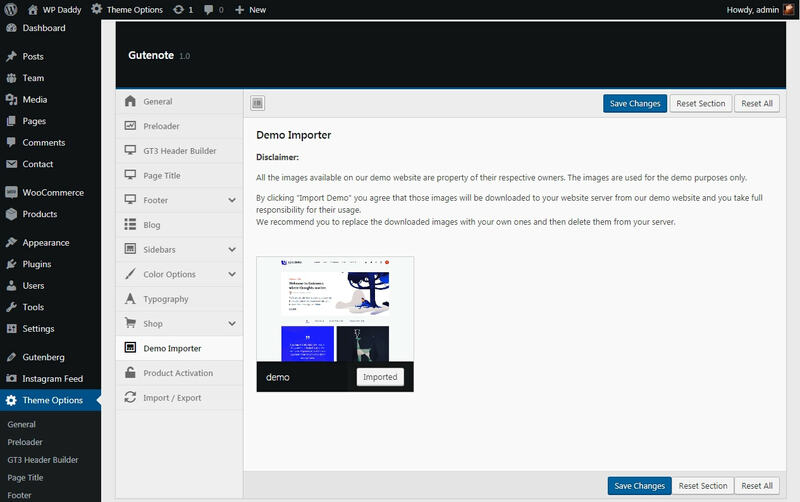 Once you are done with installation, go to Theme Options -> Demo Importer to import all demo content with one click. When all content is imported, go to Posts -> All Posts and you will see a list of pre-defined articles available. You can either edit them to insert your custom text and upload your own images or create a new post by your own. Every post includes a dummy content and media, however, this media is owned by different 3d party authors, so you’d better use your own custom images for your posts. Creating a post with Gutenberg is really easy and fun, I’ve been speaking on how to make it real with the help of blocks in this Gutenberg review post. 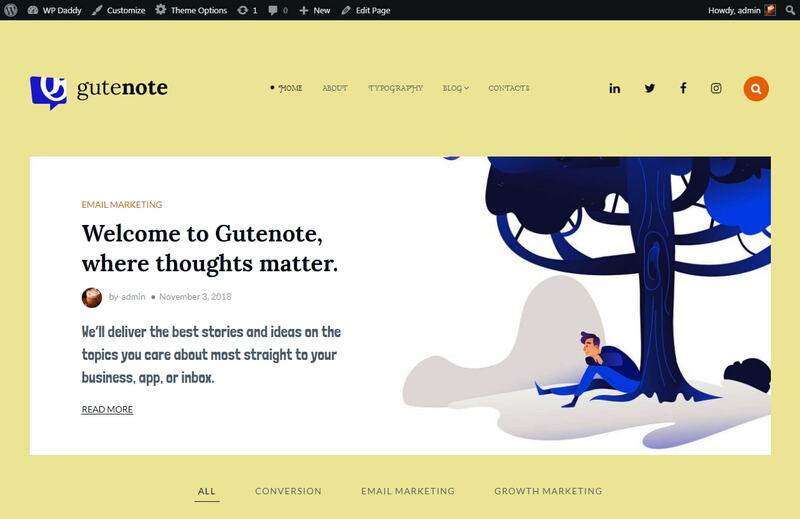 With Gutenote Blog WP theme you get much more opportunities of post creation thanks to additional blocks complementing the default set. With their help you can build a lot of new pages for your blog, manage content on your pages and create new posts. 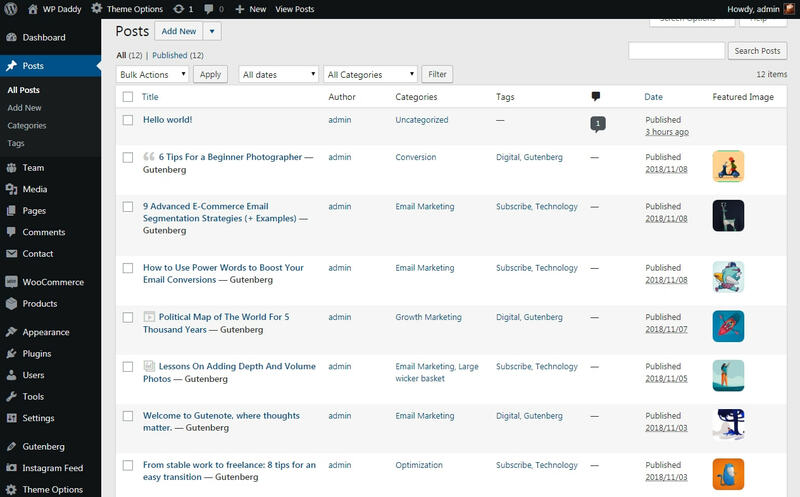 Gutenote includes different post formats you can use for writing your content. Take advantage of standard, gallery, link, quote, video and audio post types for your blog. Initially Gutenote comes with a list of pre-defined page layouts each built with custom blocks for Gutenberg. 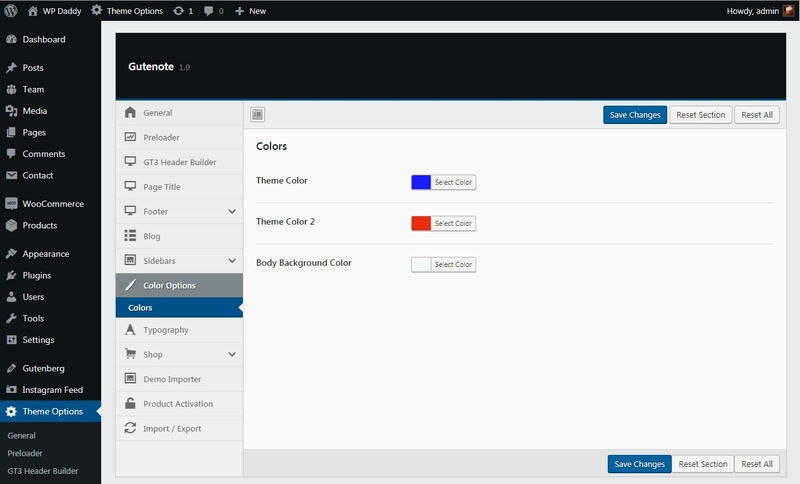 Go to Pages -> All Pages to check out the list of pre-defined page templates you get with the theme. Such pages as Home, About Us, Get in Touch, and some more ones are pre-configured. You can customize every page up to your needs to make them look as you personally wish. The theme comes with a great number of options helpful to change the look and behavior of your every page. show or hide page title, show or hide breadcrumbs, choose the type and color of footer, use a header builder to create any headers you prefer, and manage much more options available. 1. 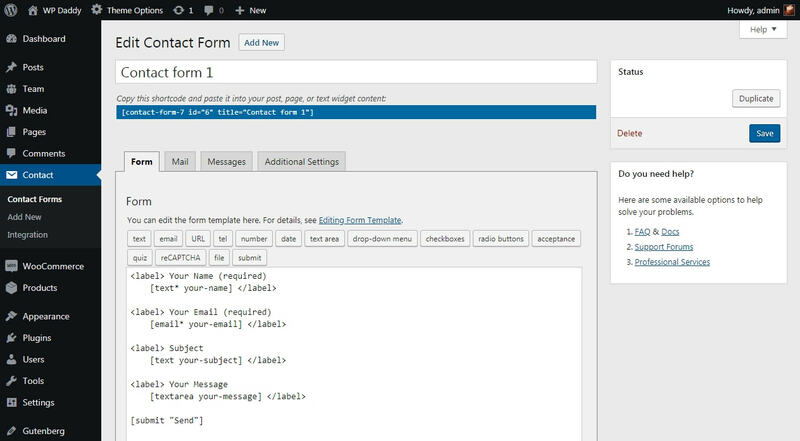 Gutenote comes with Contact Form 7 plugin, so you can either go to Contact -> Contact Forms menu in your dashboard and edit the existing templates to insert a ready contact form on any page with a shortcode, or go to Contact -> Add New and create a custom contact form by your own. 2. The theme is compatible with MailChimp, so you can go to Settings -> MailChimp Setup and either insert your API key and connect your existing account, or create a new MailChimp account and connect it to your website to be able to send newsletters to your subscribers. 3. Gutenote allows to introduce your team on your web-page. 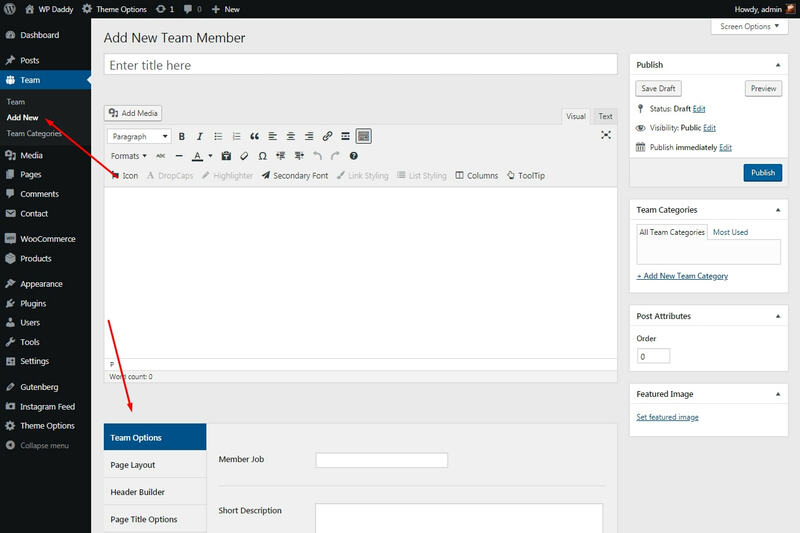 You can easily add a team member just as well as you add a new post or a page and then manage team options to add a member’s occupation, write a short description to share their achievements, etc. 4. The theme is compatible with WooCommerce, so you can configure your store and start selling products or paid subscriptions on the Web. I’ve already told how to configure WooCommerce in my post on accepting credit card payments. So you can learn it to find out it is really easy. 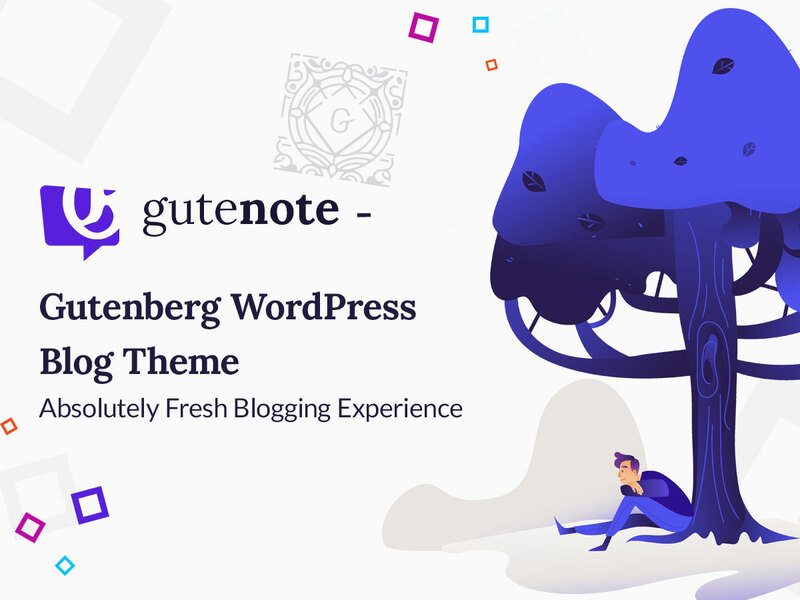 Of course there are much more features available for Gutenote, so now it’s your turn to learn all the possibilities of this blogging theme and create your masterpiece of a blog.